Everyone is in sales ! Many would rather die than admit this, but it’s nothing to be ashamed of. Good sales people are so far removed from what you see on the Apprentice on TV or what you experience when you get that PPI sales call. It’s one of the oldest professions in the world and one that is critical to success in all walks of life. This interactive Sales Training Course is offered to organisation’s as an in-house training programme enabling anyone in a sales role to sell with increased confidence, competence and success. Who will benefit from a sales training course? Sales is simple, but most people get it wrong. Why would anyone buy your products or services ? Why would they buy from you ? Our Sales Training Course is aimed at anyone who is an established sales animal who needs some new ideas, someone new to sales or anyone who finds it hard to get their head around being a sales person. This Sales Training Course is the perfect development intervention giving you the tools, techniques and simple tips to be the best sales person you can be. Even the most seasoned sales professionals make fundamental mistakes when executing their sales performance. 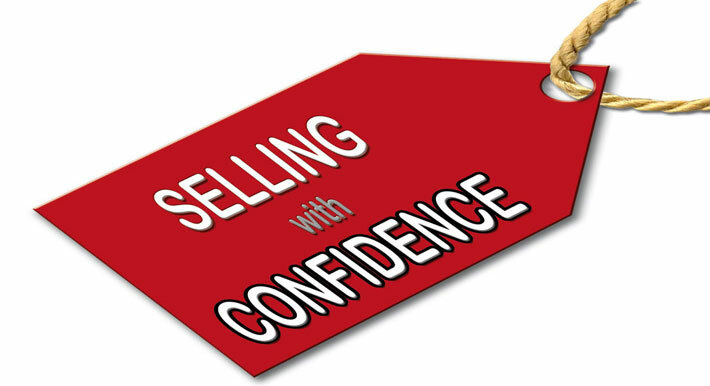 Selling with Confidence is adaptable to all levels of selling and enhances skills and results. Each stage is accompanied by practical skills and learning points you can use with immediate effect. Learn how to overcome nerves, work through rebuttals, overcome objections and facilitate a customer centred relationship. The Sales Training Course is accompanied by a range of templates and tools delegates can use immediately. By changing your frame of reference to selling you will instantly improve your sales results. This fundamental lesson was learned by the programme author and he become the top sales person in his field in the South East of the U.K.
Not bad for someone who hated selling and despised sales people. This programme has enabled a wealth of sales people to enhance their performance for longer term relationships as opposed to the quick sale. You will get to the real wants and needs so you understand what is required. This is a paradigm shift from prospecting on what you have to sell. Prospects engage with people they want to do business with, not someone who sells to them. This Sales Training Course gives you what you need to deliver what you want ! Typically this programme is designed and delivered for each individual organisation over 2 to 3 separate interactive workshops using real examples and live practise to ensure the lessons learned work. Due to the bespoke nature of this in-house programme the investment you make depends on the number of delegates, venue, location and number of workshops.Please contact us so we can understand your specific needs and design a suitable programme to deliver your requirements. After nearly 18 years of selling I have been reminded of some major principles and learnt some new ones. Thank you.